This promotion is in no way sponsored, endorsed or administered by, or associated with, Facebook. You are providing your information to Glazed Gourmet Doughnuts and not to Facebook. The information you provide will only be used for verification and email newsletter signup.This offer has no cash value. A valid email address and birthday equal to 18 years or older are required to enter. No purchase necessary. The winner will be chosen at random and contact via email. This offer can not be transferred or exchanged. 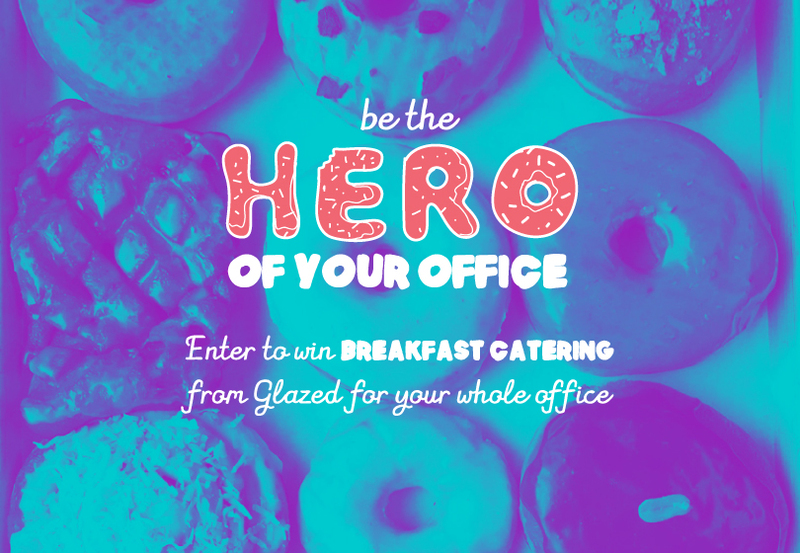 The winner must pickup the catering order from Glazed on King Street.